A new website. More banking partnerships. European interchange. Increased revenue shares. 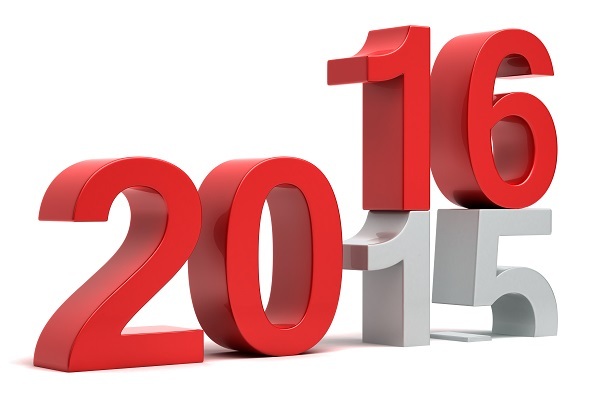 It was an exciting 12 months of payment processing at Instabill and it’s carrying over into 2016. Here are our 10 favorite things of the year. Last spring, we created a web page entitled ‘Instabill in the News,’ as our opinion is often sought after for anything e-commerce payments-related. We enjoyed some big hits in the media this year, and they all can be found here. We’ve known we were due for a new website. It was the hard work of our own Stephanie Mann, our web administrator/developer, who got the bulk of it done despite being on the job only a month. We went with WordPress, and it was as seamless a transition we could’ve asked for. We’re already seeing more traffic and conversions. Not only have we redesigned our website, but our Portsmouth, N.H. offices have also experienced a makeover with more open space, a casually conference room for meetings and calls and plush new sign in our foyer. Instabill used to print and file every folder and application, but no more. We’ve gone paperless, and as a result, the paper shredding industry in Portsmouth, N.H. is experiencing a surge, as folks can see by our recent Instagram posts. In reading the headlines over the last year, the CFPB’s influence is growing and will continue to do so. High risk industries, such as debt collectors and payday lenders, are in the crosshairs, and need to be prepared for forthcoming reforms. In February, Instabill earned a grade of ‘A’ from CardPaymentOptions.com for the second straight year. In August, we were listed among the top credit card processors for e-cigarettes, again by CardPaymentOptions.com. In November, Instabill received four out of five stars in a review of high risk payment processors from Merchant Maverick. We’ve also been recognized by the Better Business Bureau, which graded Instabill with an A+. Our goal each year is to present our merchants more payment processing options. This year saw us partner with four different banks, including two which give us more high risk merchant account options; as well as one banking partner that has an ACH solution for domestic payday lenders; and another that enables processing for JCB credit and debit transactions. This is/was music to the ears of European merchants and acquiring banks, but not so much for the issuing banks. Check out our whitepaper on how capped interchange will benefit European merchants and acquirers. Indeed, Instabill increased its partner revenue sharing structure on Dec. 8: 60-70 percent revenue shares for leads or applications that begin processing transactions. We’re offering 60 percent on up to $1 million in credit card processing volume and 70 percent for over $1 million. Our Partner Program has grown exponentially the past two years, and we’re looking forward to continued growth. To join our partner program, contact us as 1-800-318-2713 or select the live chat option below. Chris O’Donnell is the Senior Copywriter at Instabill. Chris is a devout Barclays Premiership fan and connoisseur of rock and roll music. He joined the Instabill team as its senior copywriter in December of 2013. He can be reached at 603-436-1270 or at chris@instabill.com.